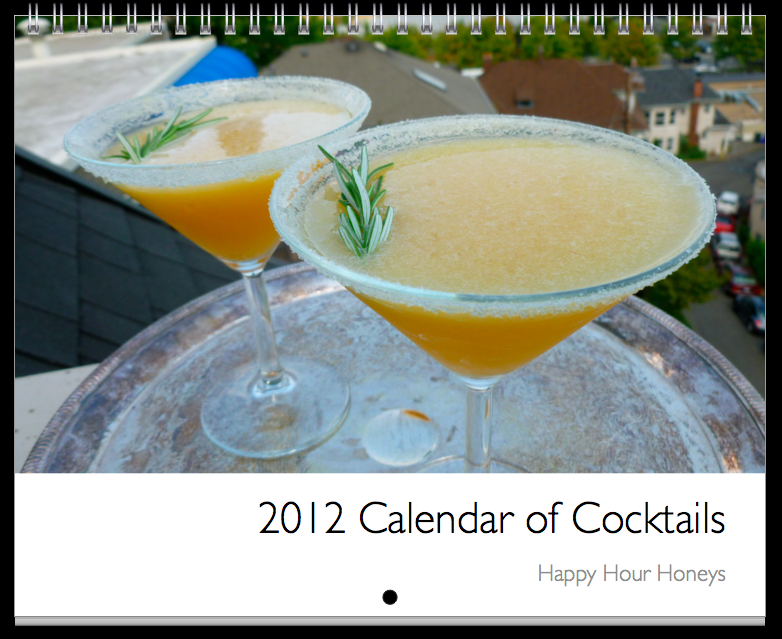 For the last two years, Katie and I have made a Happy Hour Honeys calendar to give to friends and family for Christmas. The "2012 Calendar of Cocktails" features one drink recipe each month, giving people plenty of time to master the cocktail! The 12 recipes range from traditional drinks such as a hot toddy, to Happy Hour Honey signature cocktails. That's right, we created two drinks for this calendar! January's recipe is a current favorite, a French 75. Here's a peak at January and the recipe for the perfect cocktail to cheers with in the new year. 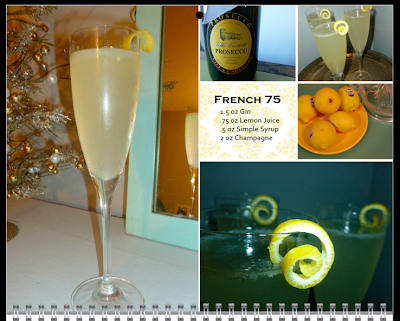 Shake the gin, lemon juice and simple syrup, pour into a champagne flute and top with champagne or prosecco.